for those who love Japan. Overseas students who wish to learn Japanese technology. Japan enthusiasts wishing to live here. Students like these could aim to gain job placement while studying in this course. In order to gain employment in Japan, on top of acquiring proficiency in Japanese language, one must understand Japanese custom, culture, and manners, then prepare oneself for smooth and amicable work practice. This course targets elementary level students and trains them from scratch. 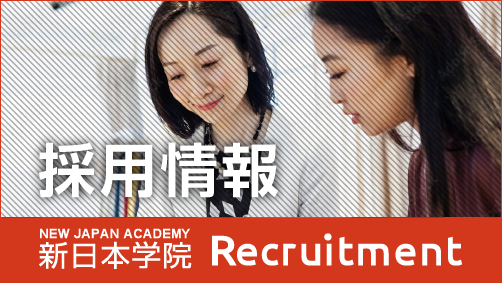 By the end of the course, you will have been prepared as responsible workers in Japan with working knowledge of the language and culture and would be able to communicate in a simple and easy to understand manner. The best part of having a small class is that the teacher can pay close attention to individual needs. Guidance and professional advice towards gaining employment are available throughout the course. A full back up is guaranteed for your endeavor. Completed 16 years of education in the country of origin or equivalent. Interested in long-term employment in Japan and is a enthusiastic learner.